Escorted Ireland travel is a stress-free way to see the country. You will have no worries as you let your tour guide and driver take care of all the details. Decide what kind of trip you would like, sign up with one of the many experienced tour operators, and sit back to enjoy the ride. Doesn't that sound appealing? I have often imagined the ease and comfort available with escorted Ireland travel as I spend hours planning my itinerary, booking my flights, arranging my lodging and reserving my rental car. And then there are the times that I am circling the roundabout for the seventh time trying to figure out what exit to take, looking for a place to pull over to read the map, dodging sheep on the roadways, closely making it past the oncoming delivery truck on the narrow side street, and holding my breath as I drive quite near the cliff side of the winding country road. At these challenging times, I notice the air-conditioned tour bus glide by. I see the passengers reading books, gazing at the scenery, or snoozing after a Guinness with lunch. It is then that I can appreciate the beauty of the organized tour. Visitors often choose escorted Ireland travel on their first trip. Many like it so much that they sign up again the next time. There are specialized theme tours based on golf, hiking, walking, biking, fishing, horse riding, and boating. Many tours give you a taste of each area of Ireland and stop at historic and scenic sites along the way. You can also enjoy a variety of lodging experiences with escorted Ireland travel. Some tour groups stay in castle hotels, some in bed & breakfasts, some in luxury hotels and some in a few of each. There are many reputable and experienced tour organizers. Trip Advisor (tripadvisor.com) is a company that uses its website to give recommendations for hotels, resorts, inns, vacations, travel packages and travel guides. Website users also submit reviews based on their travel experiences. 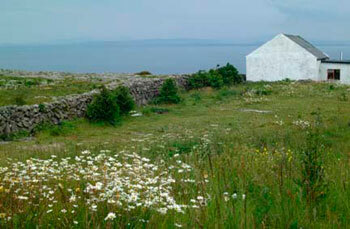 Irish Tourism (irishtourism.com) is a company based in southwest Ireland. The staff people are all locals who know Ireland and make recommendations for your Ireland vacation. They operate their own tours as well. You can call or email them and they will respond promptly. Discover Ireland (discoverireland.com) is the website sponsored by Tourism Ireland, the agency responsible for marketing Ireland. They work with the National Tourism Development Authority and the Northern Ireland Tourist Board to give you information on travel all throughout Ireland. You can email or talk by phone with the travel specialists and find a trip to suit your style and travel desires. They will often arrange your flight, lodging, and all transportation while on the trip. You simply turn over all the details to them and pack your bags! Meanwhile, you may want an experience of Ireland by strolling through the shopirish website for some gifts for yourself or your family and friends.